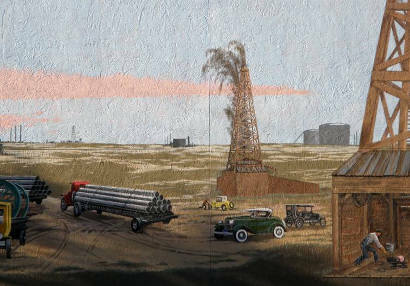 Although Odessa is recognized as the center of oil exploration and production in Texas, the city has a number of attractions that have nothing at all to do with oil and gas. 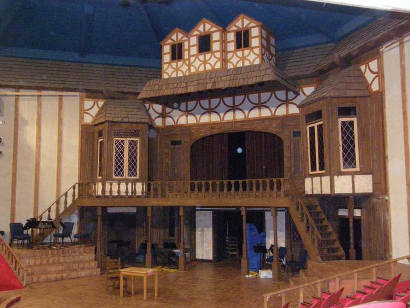 The most surprising of these are the replicas of Shakespeare's Globe Theatre and Anne Hathaway's Cottage on the campus of Odessa College. 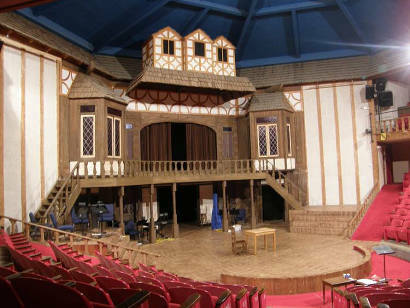 Built in the 1960's, the Globe Theatre is a non-profit organization presenting classical and modern plays using an Elizabethan stage. 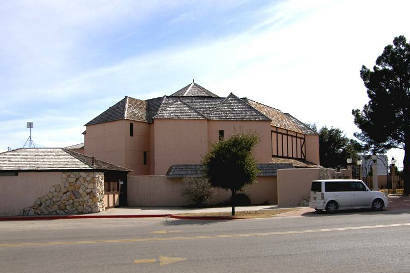 Bringing a bit of British flair to the West Texas landscape is this replica of the original Globe Theatre, the home of William Shakespeare's acting company in England. 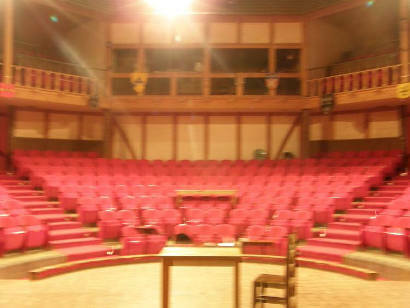 The 410-seat octagonal theater was the brainchild of a local teacher and Shakespearean scholar, Mrs. Marjorie Morris, who wanted a proper showcase in which to present the Bard's Plays. The Globe hosts community theater performances, monthly country-western shows called The Brand New Opree, and other community activities. The Anne Hathaway Library next door, a replica of the cottage in which Shakespeare's wife lived, houses displays of special interest to Shakespeare fans. 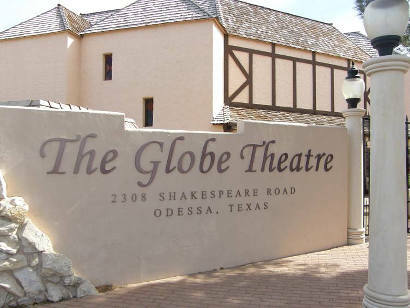 On a personal note it is this replica here in Odessa, Texas that was designed from the original Globe Theatre, after the last one was burned down in England, the architect came to Odessa because ours was the closest to the original, and designed the new one based on ours. Originator, promoter of the Globe of the great southwest, world's most nearly authentic replica of the Globe Theater in England made famous by the plays of William Shakespeare. 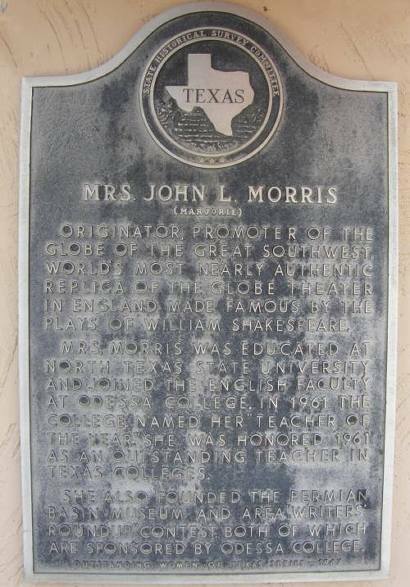 Mrs. Morris was educated at North Texas State University and joined the English faculty at Odessa College. In 1961 the college named her "Teacher of the years". She was honored 1961 as an outstanding teacher in Texas college. She also founded the Permian Basin Museum and area "writers' roundup" contest, both of which are sponsored by Odessa College. Outstanding women of Texas series, 1967.